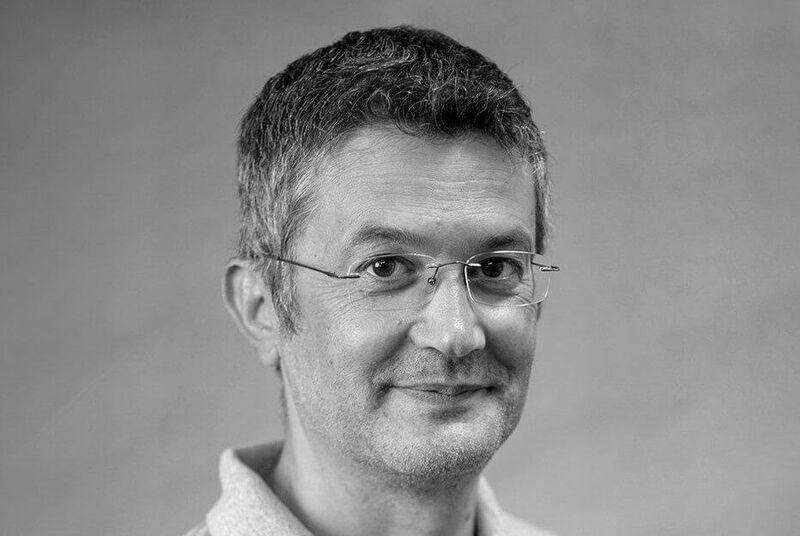 SUPERPROD STUDIO is pleased to announce the appointment of Christophe Archambault as Chief Technical Officer (CTO) for its Paris and Angoulême studios. Christophe started his career with SPARX studio before co-founding French animation studio TEAMTO in 2005. He then worked in South East Asia for several years before joining MIKROS – TECHNICOLOR, first as Chief Technical Officer of the VFX studio and then as CTO for the whole Group and its studios in Canada, the UK, France and Belgium. He has participated in a great variety of productions, TV series, feature films, advertisements, and more recently on the animation feature films ASTERIX THE SECRET OF THE MAGIC POTION for M6 STUDIO, SHERLOCK GNOMES for PARAMOUNT, CAPTAIN UNDERPANTS for DREAMWORKS ANIMATION. Since its creation SUPERPROD STUDIO has worked on and delivered shows like PAT THE DOG already on air in 180 countries (Disney Channel US, Germany, Russia and Spain, Cartoon Network EMEA and Asia, Discovery Kids, etc. ), the preschool series HELEN’S LITTLE SCHOOL (Discovery Kids Latin America, France Télévisions, TFO, Telequebec, Knowledge Network, etc. ), both produced by Superprod Animation, as well as SOPHIE LA GIRAFE (as seen on Hulu and TFou Max) produced by KLB. Superprod Studio is currently producing the second season of LASSIE (Dreamworks Animation, TF1, ZDF) for Superprod Animation as well as GO! GO! CORY CARSON for Berkeley based Kuku Studios, toy manufacturer VTech and NETFLIX. Over the next couple of years SUPERPROD STUDIO will be working on two major animation feature films – a movie based on Charlie Chaplin’s masterpiece THE KID, and the first ever theatrical adaptation of CALIMERO, the world most famous chick – as well as on a slate of TV series: JOKER JOE with M6, OSMOND with France Télévisions, ANNA & FROGA with BBC Worldwide and PAT THE DOG 2. SUPERPROD STUDIO is also in discussion for several animation productions for high profile third party clients in Europe and North America. For Clément Calvet and Jérémie Fajner « the arrival of Christophe is a major step in the expansion of SUPERPROD STUDIO. Christophe is an expert in CG animation production, from feature films to TV series, and his track record and expertise will be enable us to embrace even more ambitious projects for TV and cinema ». Virginie Créance, Head of Operations and Productions says “I am delighted to be working with Christophe, he will be a key asset for structuring the growth of our studio in Paris and in Angoulême and the diversity inside our slate”. “I am delighted to join the dynamic team of SUPERPROD STUDIO, says Christophe Archambault, their creativity, their vision and the slate of projects are very exciting from all viewpoints”. Founded by Clément Calvet and Jérémie Fajner, SUPERPROD develops, produces and distributes animation and live-action TV series and feature films and operates SUPERPROD STUDIO, its own animation studios in Paris and in Angoulême, as well as an office in Los Angeles. SUPERPROD coproduced the animation film SONG OF THE SEA, by Tomm Moore, with Cartoon Saloon, Melusine, Big Farm, Norlum. The film was nominated for Best Animated Feature Film at the Oscars and Cesar, and won the Best Animated Film Award of the European Film Academy. SUPERPROD recently produced the animation film WHITE FANG, based on Jack London’s novel, with Bidibul and Big Beach. WHITE FANG was selected for the Sundance Film Festival, TIFF Kids and NYC International Children’s Film Fest. It will be released theatrically in 2018 in Europe and China and was acquired by Netflix for a number of territories, including the US, Canada, Latin America, Asia and Japan. SUPERPROD also produced adult animation movie CAFARD by Jan Bultheel, and JAILBIRD, a fiction film by Audrey Estrougo, starring Sophie Marceau. SUPERPROD also coproduced live-action film DEAD MAN TALKING, starring Virginie Effira and François Berléand, which was nominated at the 2014 CESAR Academy Awards. On the TV side, SUPERPROD produced the animation series LASSIE (2 seasons) for TF1, ZDF and Dreamworks Animation, a new season of GERONIMO STILTON, based on the best-selling book property (+100 million copies), PAT THE DOG, sold in over 180 children countries (including to Disney USA, Canal +, Rai, Discovery,…), and pre-school series HELEN’S LITTLE SCHOOL for France Televisions, BBC Kids, Téléquébec. In 2018 Superprod is launching 4 new series with major partners: JOKER JOE with M6, OSMOND with France Télévisions, ANNA & FROGA with BBC Worldwide and PAT THE DOG 2. Eventually SUPERPROD is also developing an animation movie based on Charlie Chaplin’s masterpiece THE KID, and a theatrical adaptation of CALIMERO, as well as a slate of live-action feature films, including Yann Samuell’s adaptation of Gilles Legardinier best-selling feel-good book WELL DONE (“COMPLÈTEMENT CRAMÉ”).